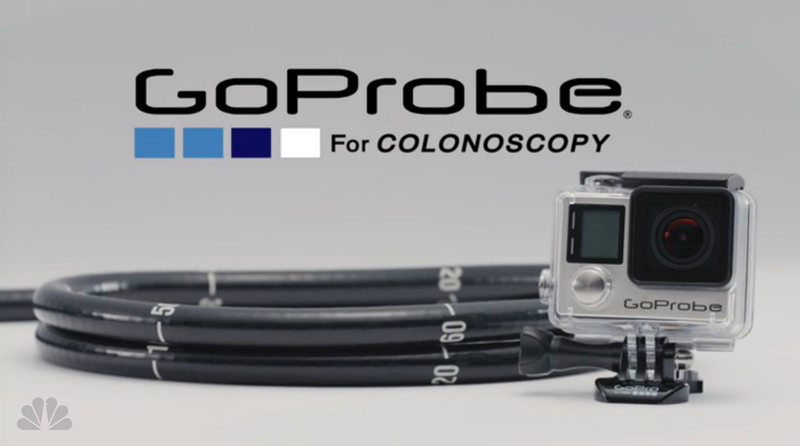 SNL GoPro Parody Invites Action Cam Enthusiasts to "Go Deeper"
GoPro is the go anywhere, do anything camera that's the go-to solution for athletes to capture that perfect wave or that harrowing 1080, but last night SNL dreamed up another addition to the GoPro family specifically for detecting colon cancer: the GoProbe. The skit opens with the stereotypical b-roll of the skaters, surfers, and snowboards pulling off death-defying stunts. But with these thrill seekers now over the age of 40, colon cancer is a more scary enemy than a botched backflip or an imposing riptide. The comedic genius comes in when these characters' extreme sport personas clash with the serious-natured doctors who are trying to conduct the exam, leading to such great lines as "it grinds your intestines with ease" and "if I'm not bleedin' or boardin', every six months, I'm spelunkin'." The entire skit is only around a minute and a half, but it's a pretty fun take on action cams and is hopefully a piece of comedy that both entertains and informs.